With the return of the 6.5x55 to the mainstream market firearms producers, this round has new found meaning in a world of hunting and target shooting. Some calibers just make sense and have the kind of staying power that keeps them relevant forever. 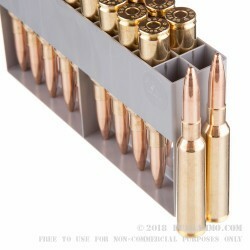 The flat shooting, cheap to shoot, fun 6.5x55 is one such caliber. The newer guns that are being produced are able to better harness the inherent accuracy and reliability of this very old design. The very solid ballistics make this a round that is easily a better value than most. It boasts a speedy 2392 feet per second velocity and a 1783 ft. lbs. of energy at the muzzle. 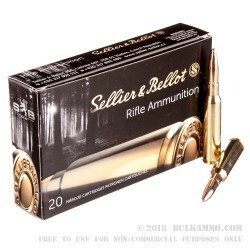 Perfect for small and intermediate game, and even suitable for some of the smaller large game animals depending on toughness, this is a versatile round and it has a reason to still find favor with the mainstream shooting and hunting audience. This is suitable for use in any modern rifle chambered in 6.5x55. 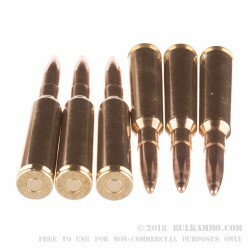 It is not interchangeable with any other 6.5 round, and it is not to be used in firearms that aren’t suitable for modern loaded ammunition including some military surplus rifles in poor condition. Very fast service, Top Notch pricing, Good quality merchandise. Thank You for your business, I will be buying more. I was thrilled to get what I ordered in three days and I was out at the range having fun. Thank you Again you have found a customer for a long time. 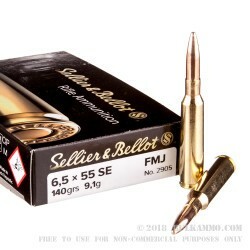 Q: How much does the FMJ bullet drop at 300 meters?